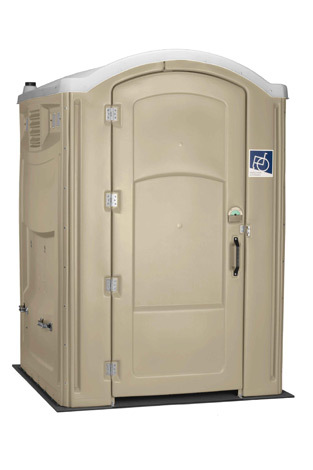 Rent A John Handicap Compliant-OptionsThis restroom meets all the specifications set out by the Americans with Disabilities Act. 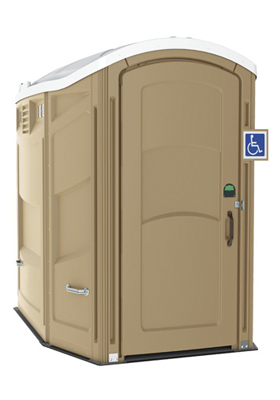 Safety bars, wider doorway, and a larger interior allow for wheel chair accessibility (360 degree rotation). The large interior is great for the elderly or parents with small children who may need the extra room for any assistance.